When discussing the battle of wills my daughter and I experience, a friend of mine said something very poignant (as he often does). He said that the only power children have is their anger. Honestly, when you are completely dependent on someone else who dictates how your life is led, then I suppose that is true. I figured that allowing them outlets, allowing them to have their room the way they want it (within limits), would give them some power. It’s not as simple as that. If we learn to honor when children set their boundaries, and teach them how to do so by setting our own safe boundaries, then they will have power. They will have the power of SELF. Believe it or not, we need to set safe boundaries with our children, just as we do with anyone. Picking your battles beforehand helps with this. When you say “No,” it’s important to stick with it. When they argue it, and they will, make it clear that arguing won’t change the decision. Too many parents get swayed by their kids, or let them hammer them until they can’t stand it anymore and just let the kid have the ice cream, or tickets to a concert, or whatever the request may be. I know, because that was me sometimes. The opposite of that is being hyper vigilant. You feel like you have to set up a huge defense because your boundary has been crossed too many times. That’s because you didn’t set your boundary and honor it! Going back to the beginning, you have to pick your battles. It doesn’t make sense to be that way with everything. Sometimes, it makes perfect sense to give two options. If they don’t like them, and they are the only viable options, then they make the choice to opt out by not liking either. That is their choice. Instead of forcing your child to pick a choice, let him or her opt out. Honor their wish. They may actually learn consequences. More importantly, hear them. Validate their feelings. Let them know that you understand why they want this or that, but that the decision is still no. This is something I wished I had learned long ago, and I am still working on it. Setting boundaries makes us aware of when we are crossing boundaries as well. Do we perceive a bit of projecting here? Yet, how many times do you do this or something similar in your life? How often do others do it to you and you just let it slide? Well, don’t let it slide! 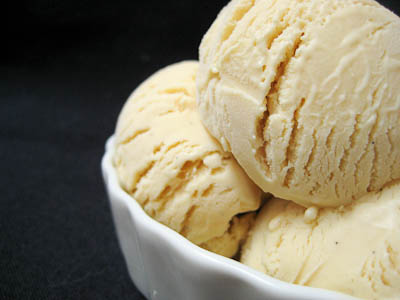 Let the world know that you like plain, old, boring vanilla ice cream, and that they can have their fancy ice cream. Be okay with your choices. Better yet, be absolutely, unfalteringly proud of your choices. Your children will learn by example, and by going through the process, you can guide them better. By honoring yourself, you will be better able to honor your children, no matter how ornery they get. This entry was posted in Emotions, Health, Parenting, Relationships and tagged counseling, family, interpersonal communication, parenting, psychology, psychotherapy, self care, setting safe boundaries, teens by AmyRxBaker. Bookmark the permalink.